Pelan Bali makes an awesome place to attend a Surf and Yoga Retreat in Bali! ‘Pelan Pelan’ translates to ‘slowly’ or ‘taking it easy’ and this is exactly what this wellness and surfing holiday in Bali is all about. The ‘Get it All’ package makes an amazingly fun and relaxing 7-days surfing and yoga holiday. The package has the perfect blend of fun outdoor activities, relaxation and inwards journeys to serenity and stillness. Retreat participants are encouraged to take a step back from the noise and the rush of thoughts going through the mind all day long. The focus lies on simply enjoying the moment, having fun and relaxing. The centre has a wonderfully peaceful ambience and a real ‘homey’ feel. Healthy food, outdoor activities and the healing energy of yoga and meditation make this relaxed yoga holiday in Bali most memorable. Participants will not only be practising yoga and learning how to surf, they are also introduced to the enchanting Balinese culture, gently mastering the art of the Balinese ‘pelan pelan’ mentality. There are several types of yoga taught at Pelan Bali but the most leading one is Vinyasa Yoga, featuring sequences of movements to the rhythm of one’s breath, emptying the mind and relaxing body, mind and soul. Classes and lessons are held in small groups to enhance personal attention. Balinese massages, yoga and meditation classes take place by the riverside to the sound of flowing water, the singing of birds and the chirping of crickets. The surfing lessons take place on the beach and on top of the waves. Surfing, Balinese cooking classes, yoga, massage and meditation, it is all part of the ‘Get It All’ package that blissfully takes place to the backdrop of the mighty ocean, verdant rice fields, rural Balinese life and sacred temples. Optional: 2 PM half day trip to several temples, including Tanah Lot Temple. It’s the weekend! Maybe you’ve been wanting to relax by the pool after the jam-packed surf lessons or a long-haul flight. 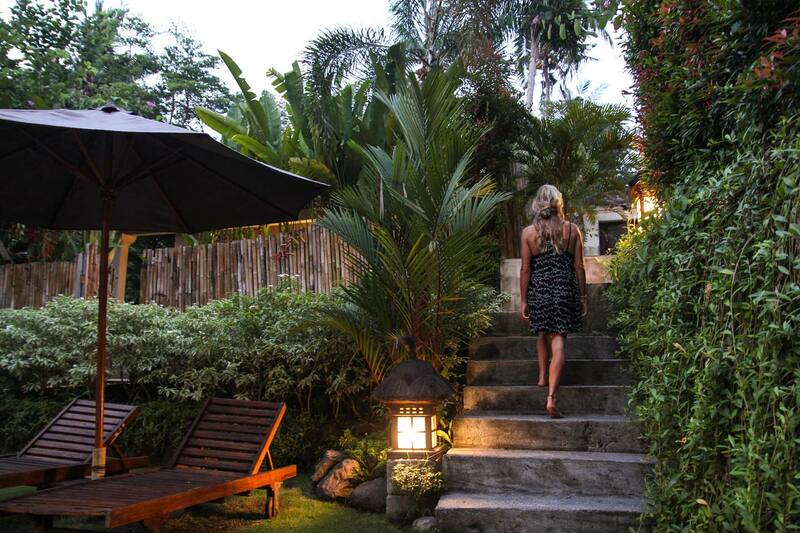 Maybe you’d like to go on a day trip exploring the island or shopping in one of Canggu's many boutique stores. Or if you want to lounge on the beach and sunbathe - do as you please. Pelan Bali is a Balinese yoga and surf centre hidden away in the dreamy, emerald rice paddies of Canggu in the south of Bali. At Pelan Bali, guests are in for a true Balinese holiday with yoga, surfing, meditation and traditional massage as key features. Solo travelers, couples, friends and families, all are welcome to join. The centre is open for single classes and short stays but the 6/days-7/nights yoga and surf retreat gives the full-blown experience. Canggu is great for surfing all year round. Where the surfing lessons take place is decided by the Balinese surf instructors, keen on finding waves that match the level and potential of their students. One surfing instructor has a maximum of 2 students to ensure quality, personalized lessons. The Balinese yoga teachers are also perfectly capable of fine-tuning to the needs of each of their students. Active and relaxing activities, healthy food and tranquillity are blended into one wonderful wellness holiday in Bali and it is the combination of yoga and surfing is that makes this little centre so unique and fun. 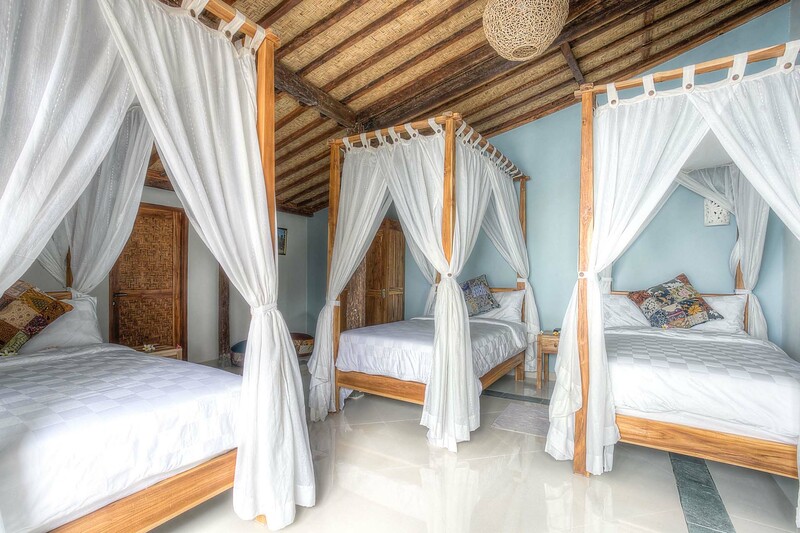 Pelan Bali houses a total of 8 rooms. 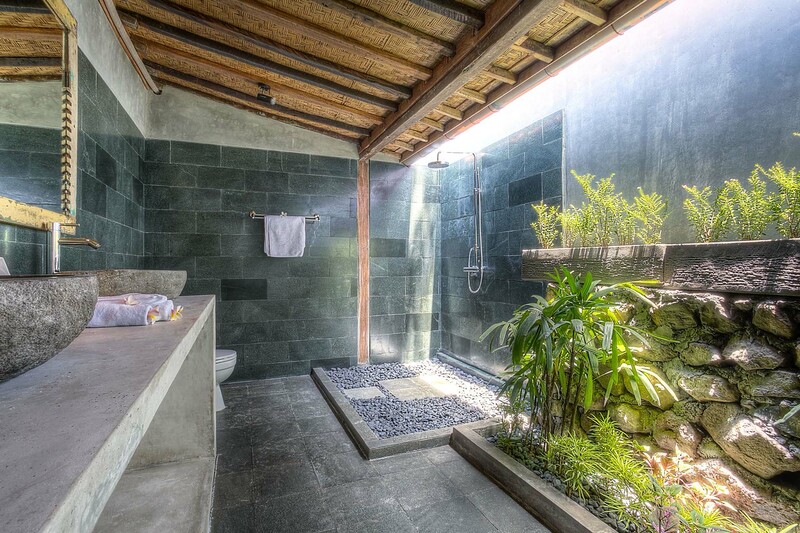 The rooms are spread out across three levels of the retreat’s garden. 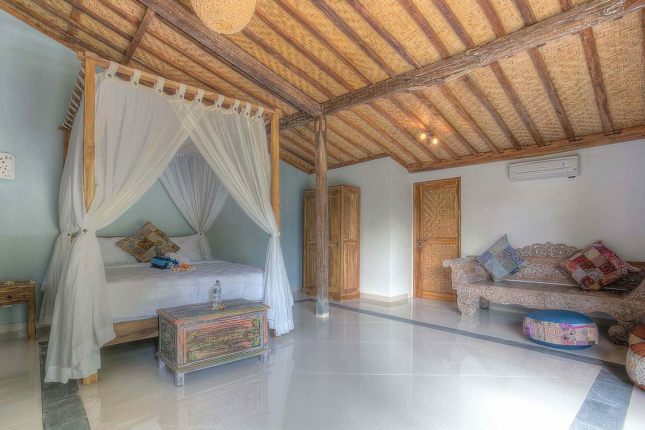 The upper level features 4 single rooms, the middle level features a shared living room and 2 bedrooms situated around a glistening swimming pool and the lower level features a traditional Javanese Joglo pavilion housing another 2 bedrooms. 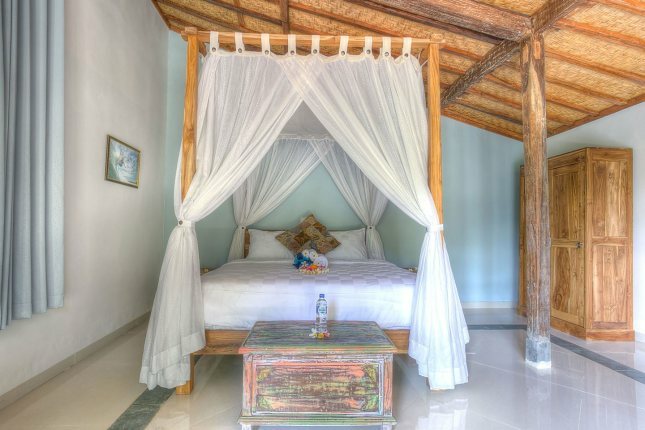 Every room features AC, canopied four-poster beds, Wifi, safety boxes and outdoor showers with hot water. Denpasar International Airport would be the closest most convenient airport. 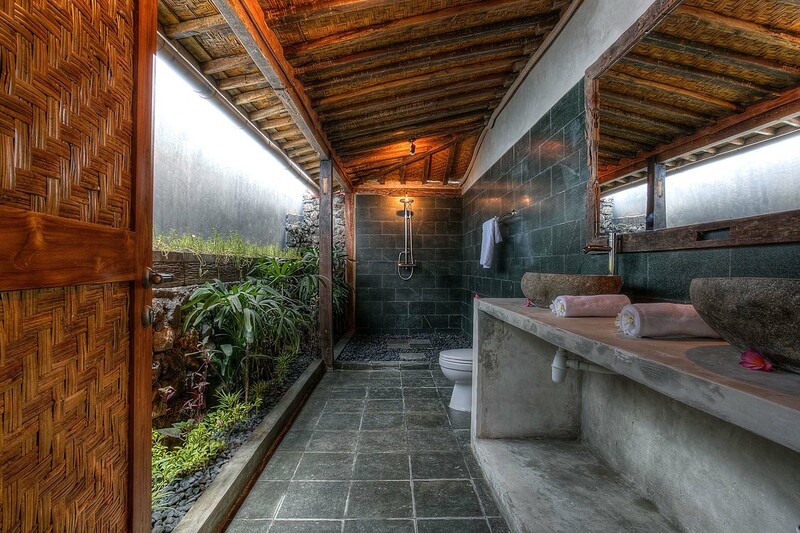 The Pelan Pelan Surf and Yoga Retreat Bali is a 25 km drive from the airport. The retreats are inclusive of daily healthy breakfast ala carte, 5 x homemade Indonesian lunch and complimentary drinking water from the dispenser, preventing the use of plastic bottles. All food is made with love by the in-house Indonesian chef Kis. On a special diet? Just let him know. If you cancel before 90 prior to the first day of the retreat you are registered for 100% of your package payment to be transferred to another retreat date within a one year period of your original booking date. If you cancel between 30- 90 days prior to the first day of the retreat you are registered for 25% of your payment is forfeited and 75% of your balance is credited to any other date within one year of your original booking. If you cancel within 30 days of the first day of your retreat 50% of your payment balance will be credited to any other available date within one year of your original booking, 50% of your payment is forfeited. All cancellations must be received in writing sent via email or registered mail. Pelan Pelan Bali is not responsible for expenses incurred in preparation for any canceled trips, such as airline tickets, or for costs incurred due to travel delays, flight cancellation or illness. We require all participants to obtain travel insurance with a trip cancellation policy which covers the individual. Please check with your travel insurance company for more detailed information. A retreat reservation is fully transferable to another person over the age of 18, for the same date and package. Insurance: Pelan Pelan Bali recommends travel cancellation insurance. Further, the customer is advised to opt for a travel medical insurance (covering the return transport of a patient from abroad as well as treatment and hospitalization on site). It is up to the customer to take care of all needs and eventualities. Remember that some insurances might not cover sports accidents through surfing. Travel documents: Each guest is responsible for the procurement of necessary travel documents such as passport (at least 8 months valid), visa etc. and must make sure that the passport has sufficient blank pages (2) for the visa, arrival and departure stamps. If you are more on a budget but still want to experience the luxury of Pelan Pelan our shared room is the perfect choice! 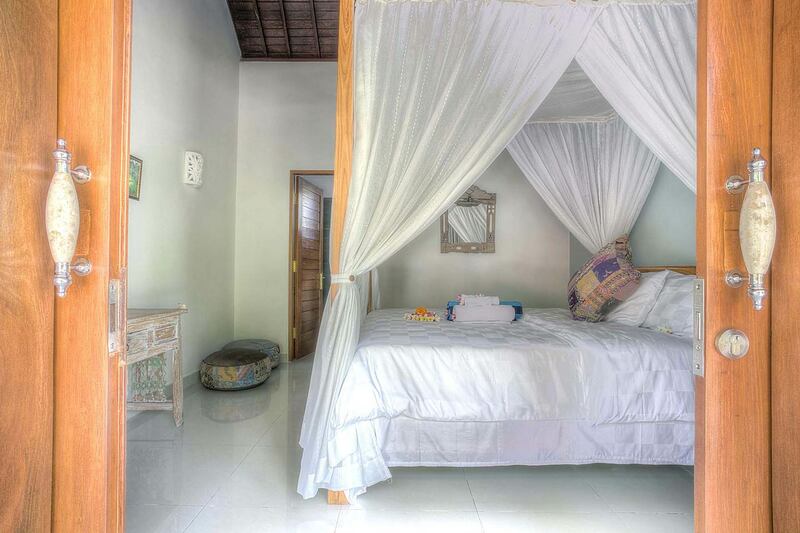 With three single beds and a semi outdoor bathroom it perfect for single travelers or friends. It's a mixed dorm. With our single room you have all the privacy and comfort that you need! It's a bright room on the upper level of Pelan Pelan. Our super luxury single rooms are pure luxury. 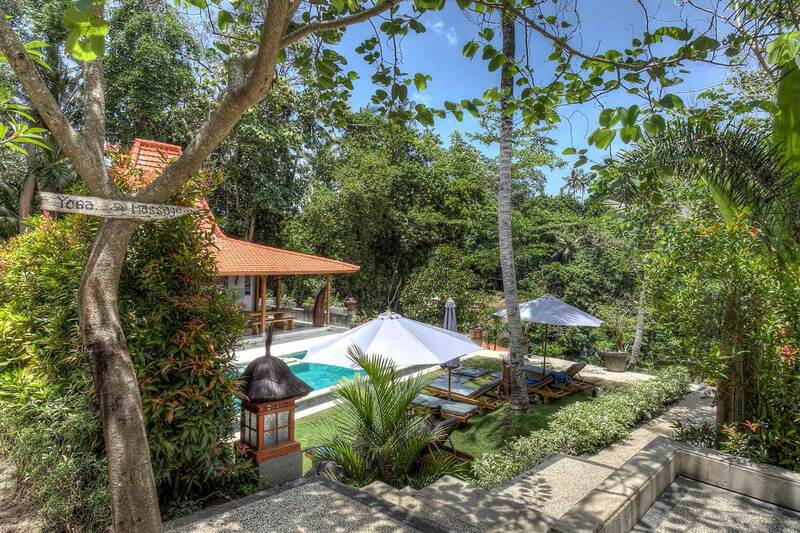 One is situated on the second floor close to the pool with a view over the garden. The other one is next to the river. All super luxury single rooms have a high quality large bed, a little terrace and semi-outdoor bathroom.